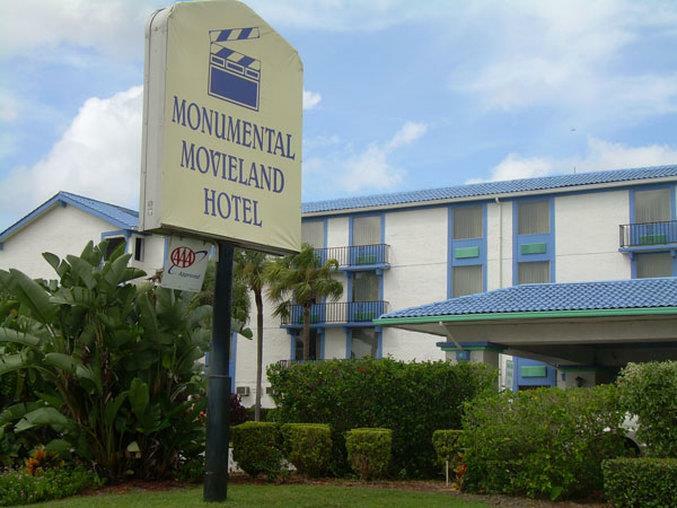 Come immerse yourself in Orlando at the Monumental Movieland Hotel. Located on International Drive our hotel is conveniently located to provide easy access to the major theme parks shopping and restaurants. In addition our comfortable AAA rated diamond hotel offers an array of amenities onsite. Positioned directly across from Wet n Wild Water Park and just one mile from Universal Studios and two miles from Sea World you can get to a variety attractions from our hotel with ease. Scheduled transportation is available to get you to your destination. We are just minutes away from the Primer Outlet Mall Millenia Mall features stores such as Macys Bloomingdales and Neiman Marcus. Shopping and restaurants are within walking distance on International Drive. Whether you are on vacation a honeymoon or a business trip the Monumental Movieland Hotel provides you the ultimate guest experience. In addition to our 261 spacious rooms we have a seasonal heated swimming pool fitness room a gift shop an arcade meeting conference rooms and more. Our Black Angus Steakhouse serves meals for breakfast lunch and dinner that everyone can enjoy. Come join us at the Monumental Movieland Hotel and be treated like a star. The Monumental Movieland Hotel is located on International Drive our hotel is conveniently located to provide easy access to the major theme parks shopping and restaurants. In addition our comfortable AAA rated diamond hotel offers an array of amenities onsite. Positioned directly across from Wet n Wild Water Park and just one mile from Universal Studios and two miles from Sea World you can get to a variety attractions from our hotel with ease. From the water-soaked spectacle of the Shamu Adventure featuring the world-famous killer whale to state-of-the-art thrill rides like Journey to Atlantis and Kraken Orlandos tallest and fastest roller coaster with speeds up to 65 miles per hour. Universal Orlando Resort is more than a theme park. Its an entire universe of action and thrills featuring TWO spectacular theme parks unlike anything else in Orlando. At both Universal Studios and Islands of Adventure every member of the family.